What could Google Local search marketing, a bank heist, a barrage of bullets, and classic Clint possibly have in common? SEO best practices Rule #1 - knowing your important numbers means you'll never have to rely on luck. In the business world it's called gathering competitive intelligence. Armed with the right intelligence you can turn odds to your favor, do far more with far less than your competitors, and come out ahead almost every time. Complicated? It can be. That's why you have us. Success requires more than resources and manpower. 80/20 will qualify and quantify your "critical success factors". We then draft and set in motion a strategy with elements specifically designed with those factors in mind to ensure your company realizes its full potential. Harry easily dominated his situation. 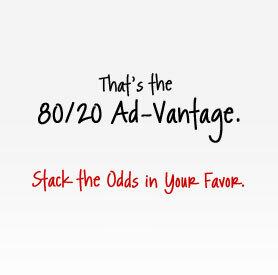 With 80/20 you can dominate your competition. Statistically speaking keeping a client is more difficult than finding one. Strong clientele retention is an essential component for strong growth. As with most companies our primary goal is growth. Your satisfaction is an essential component of that goal. That makes your support our primary goal. Running a successful law firm is challenging. Attorney marketing has always been competitive. The LA Times article,"Law school graduates aren't finding much on the employment docket" portends harder times. A viable law firm SEO marketing strategy is a must. 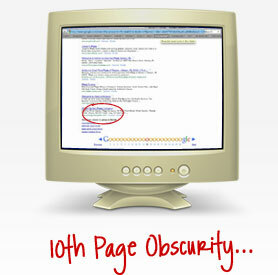 With over a hundred attorney websites on the first page of Google and lawyer SEO packages starting as low as $300/mo. 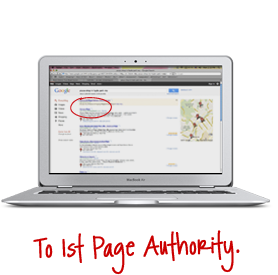 80/20 stands among the best SEO companies for law firm search engine optimization. At 80/20 every client is the client. When we're handling your needs at that point in time your needs are all we need to handle. You are our focus - there are no other clients. If you hear someone tell you that Social Media and Google Local Search Marketing are the next waves in Internet Marketing they would be dead wrong. The waves have passed and the winds that drove them have swept through. If Facebook were a country it'd be the third largest in the World - behind only China and India. Of the 6 billion searches Google gets every month over 40- are for local services / more than 2.4 billion searches every month for local businesses on Google alone. If you aren't taking advantage of what they have to offer then you are sitting in dead water. It's time to kick in the gears and start playing catch up, or just drop anchor and call it quits. You decide. I'm kicking-off the reorganization of my SEO firm with a special focus on Law firm SEO with law firms like Pensacola Criminal Attorney Jason Cromey, Florida's top insurance lawyer and West Palm Beach Criminal Lawyer Joshua LeRoy. However, our stellar team is experienced in a wide range of marketing and creative design disciplines. Feel free to check out our portfolio on our new site. Remember those old Charlie Brown cartoons? He's sitting in class. His teacher's voice is droning on in the back drop. Everything said blends together into one long indecypherable dialog. How many Company Mission Statements have you read? How many specific company details can you recall? We could follow suit and draft flowery paragraphs about how our service is like none other. We bet you won't remember a word in an hour. Why contact us? Why use our service? Why? Because we've gone out of our way to show you we can be different + that we are unique. If a company doesn't make the effort to do that for their own image do you really think they are going to do that for yours?